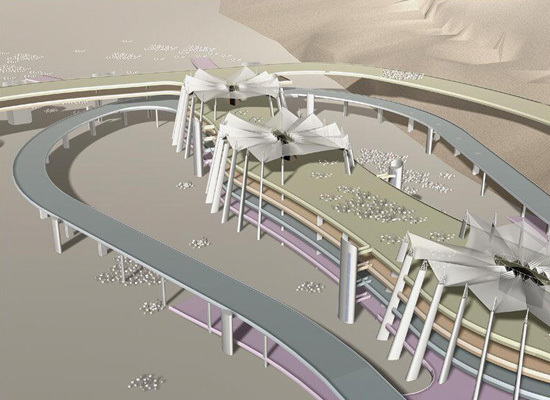 Muslim pilgrims in the next Hajj will see a new four-tiered Jamarat Bridge, a sort of multi-limbed amoeba of reconfigurable inflow and outflow ramps, emergency exits, and subway tunnels directing the flood of supplicants safely through the rocky landscape of Mina, and curiously ornamented with anemone-like efflorescences above the pillars on the upper level. The bridge has been the site of numerous disasters in the past, with the most recent one occurring in 1426H (January 2006) when nearly 400 people died during a stampede. The reconstruction, authorities say, will lessen the risk of such disasters from happening in the future. 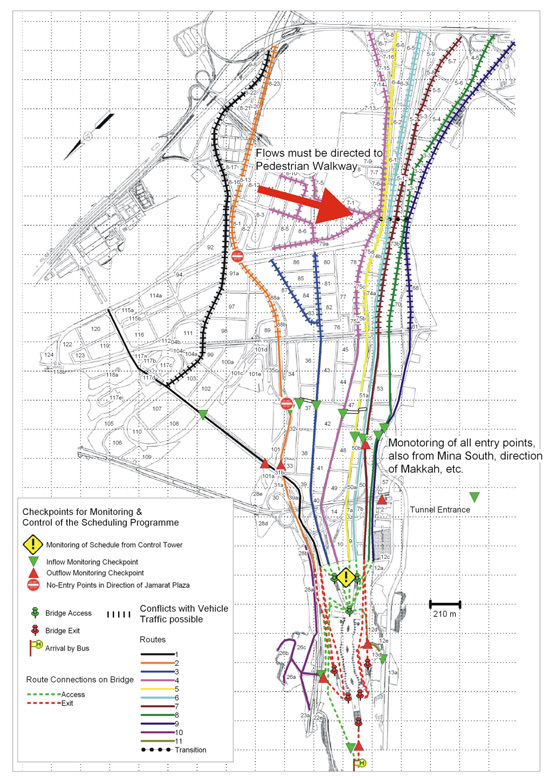 The new design, which was developed in consultation with Dirk Helbing, a professor in crowd dynamics at the Dresden University of Technology, et al., will be complemented by a reorganization of the streets leading up to the bridge, and a time schedule and route assignments as determined in real time through video monitoring and on-site surveillance. 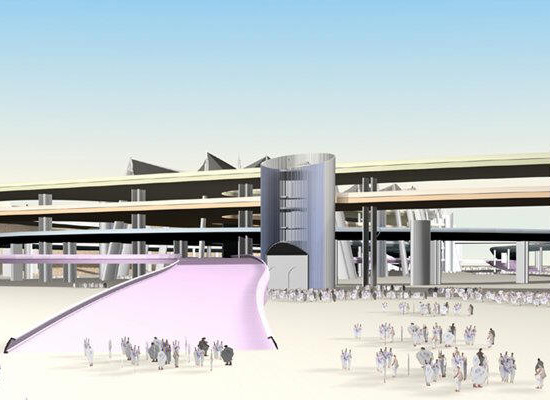 Moreover, to ease the flow of people, the jamarat were previously modified into elliptical pillars/walls with the help of Crowd Dynamics Ltd. using similar computer crowd behavior simulations. 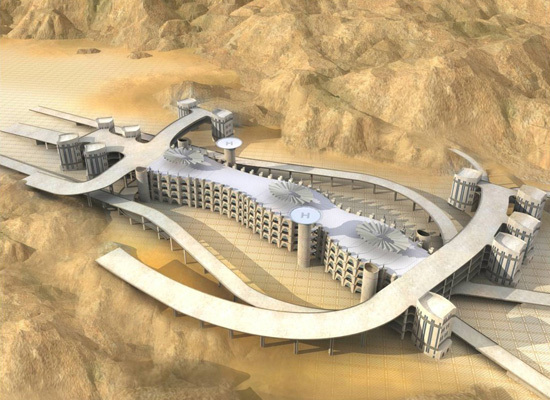 Finally, one has to ask: fifty years from now, when pilgrims visiting Mecca number in the hundreds of millions, will the Jamarat Bridge be rebuilt again to something resembling the 10 Mile Spiral? 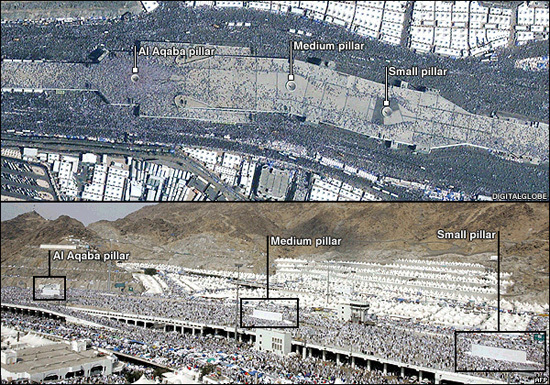 Are these pictures of the Jamarat for Hajj 2007? 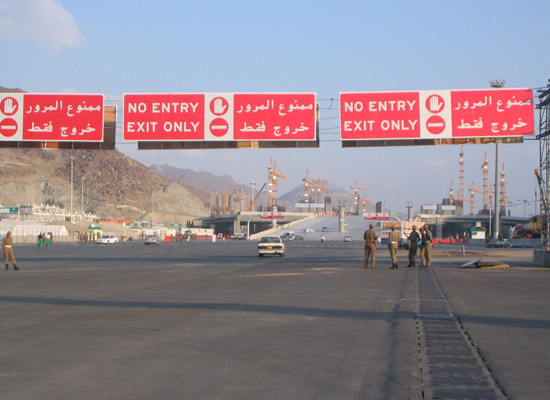 I mean the pilgrims will see this rwhen they go for hajj in december 2007?